BARRE complements Pilates in many ways. If you think about it, BARRE is the vertical challenge to the horizontal challenge on the Reformer. BARRE provides strong and toned thighs, glutes and calves. We have incorporated BARRE movements in combination with Pilates in certain classes. 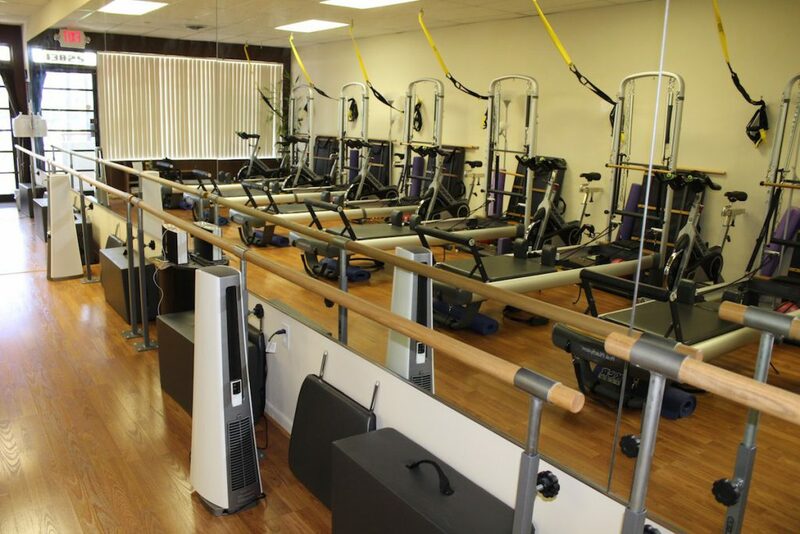 Traditional BARRE classes are combined with hand weights and mat work. We found that the combination of Reformer Pilates and BARRE works to give you that total body “burn” we all desire. The BARRE also increases your flexibility and posture as Pilates. The combination is a WIN WIN!